Welcome to the first edition of W&M in nearly four months!! It’s not that there hasn’t been anything about which I wished to kvetch about, and I definitely haven’t quit watching sports…I guess there just wasn’t anything going on that I was all that passionate about or that I haven’t talked about before so I decided to wait until The Voices told me there was enough to justify a new edition. Today we put a bow on the baseball season and ponder a few football topics both college and pro. So sit down in your easy chair, put the TV on mute, sip on a cold beverage, and join me on a brief yet pleasurable journey. Citizens of The Manoverse know that I am not a fan of NFL Commissioner Fidel Goodell. He has let the whole concussion lawsuit situation cloud his judgment and instituted rules that have altered the game that I love to such a degree that it is almost unrecognizable in comparison to what it was just a decade ago. But the good thing about rules is that they can be tweaked. 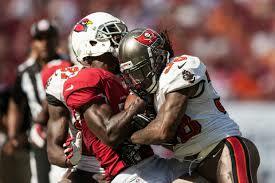 I have seen numerous “targeting” penalties called this season that were just plain bogus. Sometimes no one in their right mind can figure out what in the world the official was thinking when he made such a heinous call. 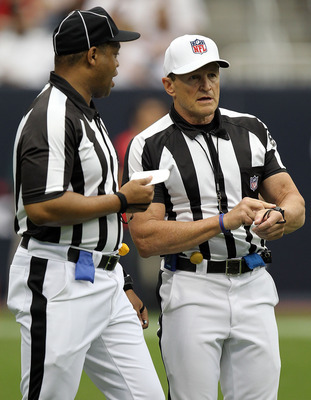 Oftentimes though one can atleast see a grain of logic in that in real time & at full speed the play looks violent and closely resembles the kind of legitimately unnecessary hits the powers-that-be are trying to eliminate, but upon further review it turns out that the defender led with a shoulder or hit the receiver in the chest. The problem is that whether or not these bad calls get overturned…even when they are reviewed…still seems to be a toss-up. That needs to change in 2014. Officials obviously need better training on what does and does not constitute targeting. 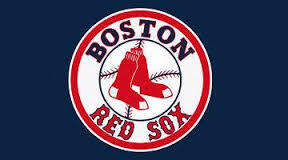 Congratulations to the 2013 World Series Champions…the Boston Red Sox. It seems like only yesterday that we were hearing about The Curse of the Bambino and how the Sox hadn’t won a Series since 1918, and now they have won three titles in the past decade. Truthfully I didn’t watch most of the baseball post-season after my Pittsburgh Pirates were ousted by the St. Louis Cardinals. I was talking with a Pirates fan who said that they would now be cheering on the Cards since they were the team that beat the Pirates and I completely disagree with that logic. I never root for the team that beat MY team!! I hate the team that beat my team. At any rate, I’ve had a soft spot for the Red Sox for many years now ever since the Pirates were going thru their 20 years of futility. Back then the Sox were lovable losers plus the archrivals of the despised New York Yankees…a win-win in my book. So even though they can’t legitimately retain underdog status anymore I was still glad to see them win, especially since it was the Cardinals that were defeated. I don’t necessarily have an issue with the NCAA overtime rules, although I do like the NFL’s overtime better. However, I would tweak the college OT just a bit. 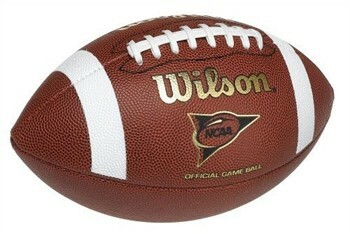 Instead of giving teams the ball on their opponent’s 25 yard line I’d move the ball back to the 35. That would atleast necessitate trying to get one first down before kicking a field goal. 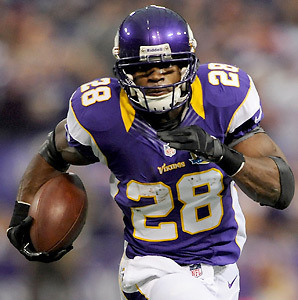 What happened to the young son of running back Adrian Peterson is a genuine tragedy. I sincerely hope that the man responsible for beating an innocent child to death pays to the greatest extent allowable by the law. However, that is up to the courts to decide and most certainly a topic not in my wheelhouse. What is germane to this forum though is Peterson himself. I think this particular situation exposed not only Adrian Peterson, but the flawed mentality of many sports fans. No one knows anything about the other people involved in this case…the child, the mother, the sick freak who perpetrated the crime. But we do know Adrian Peterson. Afterall, we see him on TV every weekend toting the rock for the Minnesota Vikings. So naturally a lot of public comments by well-meaning fans on Twitter, on message boards, and in the comments section of various articles about the story expressed sympathy for Peterson. And then when he decided to go ahead and play in a game just a few days after the child’s death it was deemed by the masses as an heroic act by a grieving father. But the truth always comes out, and the truth is that Adrian Peterson is a manwhore who has fathered multiple children with multiple women. He didn’t even know this child was his until recently. I think I may have even read that when he visited this little boy in the hospital that it was the first time he’d ever actually seen the child. Don’t misunderstand…the circumstances don’t make the senseless death of an innocent baby at the hands of a horrible, vile, unredeemable piece of garbage any less heartbreaking, but they do make me far less inclined to have much sympathy for Peterson, and certainly puts his decision to play football in perspective. Football is Adrian Peterson’s priority…not his children. He is just another (apparently quite fertile) human being capable of biologically creating a human life but with no real grasp of what it takes to actually be a father. There’s nothing heroic about that. 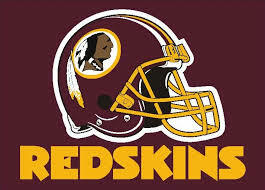 I have become firmly convinced that the Washington Redskins will eventually be…persuaded…to change their name. The forces of political correctness are lining up against them and if recent history has taught us anything it is that a vocal fringe minority, with assistance from an all too compliant left wing media, can achieve amazing things when they decide to assign a certain level of importance to an issue. This whole “controversy” has been undeniably fabricated by a handful of bleeding heart liberals. A 2002 Sports Illustrated poll of American Indians found that 75% had no issue with the Redskins name. A 2004 poll by the Annenberg Public Policy Center at the University of Pennsylvania concluded that 91% of American Indians surveyed were not offended by it. And a 2013 USA Today poll indicated that 79% of the general population felt that the team should not change their name. Majority rules, right?? Oh no no no no…not when dealing with liberals. I don’t watch ESPN’s First Take all that much these days because I have the choice of watching a rerun of that morning’s Mike & Mike or Colin Cowherd’s show The Herd on ESPNU, both of which are significantly more entertaining options than Stephen A. Smith and Skip Bayless bloviating about the sports stories du jour. But I did happen to catch a segment of First Take recently in which they were discussing this very issue, and Bayless said something along the lines of if even one Native American is offended by the Redskins moniker then it should be changed. That’s liberal logic folks…75%, 91%, 79% don’t matter. The left seeks to appease the 10-20% instead of respecting the wishes of the masses. It is a perfect illustration of what has happened to this once great nation over the past few decades and why. 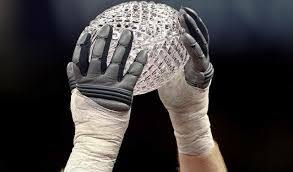 The 4 team NCAA football playoff can’t get here soon enough. The BCS (emphasis on BS) ends after this season and it is long overdue. Right now there are five…maybe six…teams with a legitimate claim of being the best in the country, but because of the BCS only two will have an opportunity to play for the trophy. Ohio State…even if they go undefeated again and finish 25-0 over the course of two seasons…is unlikely to play in the championship game because The Big Ten (which has 12 teams) is perceived as being “down” this year. I have watched Baylor play and they are a beast, but because The Big 12 (which has 10 teams) doesn’t get a whole lot of respect they have no shot at the title even if they go undefeated. Stanford and Oregon play each other this week, but even if Stanford wins they are unlikely to be in the mix. Basically it is all going to boil down to Alabama (who’ll get into the championship game even if they lose a game) and either Oregon (if they beat Stanford) or Florida State (if Oregon loses). But if this were next year we could look forward to a playoff featuring ‘Bama, Oregon, Florida State, and either Ohio State or Baylor. That, my friends, would rock.